Bundled into a jacket, toque and gloves, I stand at the end of a small pier alongside a wooden sauna at the Arctic Hideaway, a remote and stylish Norwegian island retreat north of the Arctic Circle. Suddenly, the sauna door pops open and in a blast of heat eight rosy, steaming ladies in bathing suits emerge. Pulling on neoprene booties and gloves, one by one they jump into the frigid sea, whooping with joy. After 10 minutes or so of bobbing and chatting, they return to the sauna, over and over again. The “Badeenglene” or Bathing Angels are a lively group of gals from the nearby town of Bodø who gather somewhere in the island-dotted region at least once a week for an ocean swim with an accompanying sauna or beach bonfire. We Canadians are known as a hardy crew of nature lovers, but after two weeks in Norway I realize we pale in comparison to Norwegians for whom Friluftsliv — the outdoors — is literally part of everyday life. Ten percent of all kindergartens run on the Scandinavian concept of udeskole, or outdoor school. Outside in the four seasons, toddlers learn about nature, history, map reading, hiking and even math, warming up and resting in tents if need be. I witness a gaggle of 3-to-5-year-olds happily trekking along alpine trails in mini boots during the pouring rain. They are searching for trolls, they inform me, as a supervising dad waits patiently in the downpour, a baby strapped to his chest. By high school, students have tackled ecology, the environment, navigation, first aid, trip planning, mountain and paddling skills. Then they’re ready to take advantage of Norway’s federally legislated rambling freedom called allemannsretten (all men’s right) — an open-minded law stating that anyone can legally picnic on any beach, meander through any forest and even hike and camp on undeveloped private property nationwide without obtaining permission. That roaming freedom has turned some far-flung Norwegian villages into hubs for outdoor addicts. In the Lofoten Peninsula’s traditional fishing village of Henningsvaer, set alongside soaring mountains, I feel a strong Squamish, B.C. outdoor vibe. Kayakers, mountain bikers and hikers have taken over this climbing mecca to gather at cool cafes — one of them an informal alpine museum — to compare gear notes and chat passionately about winter surfing and backcountry ski expeditions. Even architecture is used to lure visitors into the wild. Along 18 designated National Scenic Routes that wind and zig-zag into the country’s most remote reaches, there are roadside stops everywhere to help travellers experience nature’s power. 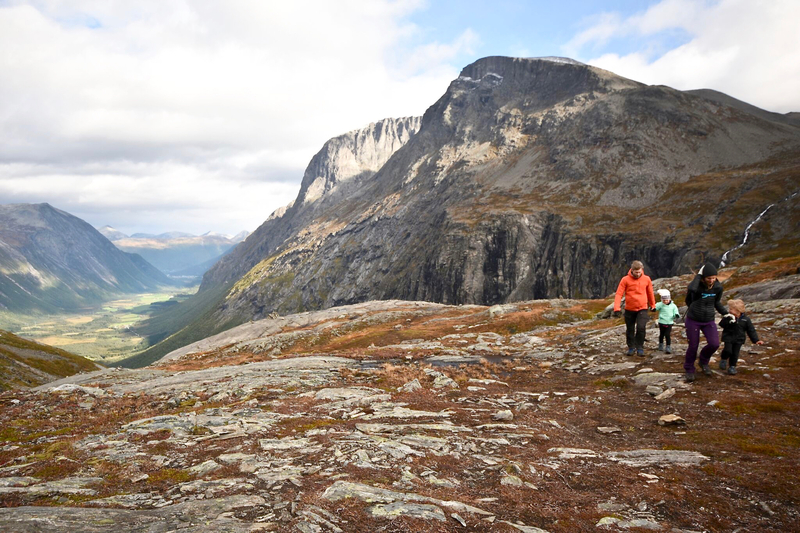 Walkways jut out above sheer fjords, like spectacular Aurland, designed by Canadian architect Todd Saunders (now living in Norway), who also created Newfoundland’s five-star Fogo Island Inn. Rest stops feature designs that blend perfectly into the scenery, including visitors’ centres, picnic spots, and cafes. There’s even a toilet block with a waterfall view. What other country would build a stunning one-room, glass-walled Wild Reindeer Pavilion for critter viewing that can only be reached via a mile-long walk across treeless mountain terrain? Some of the biggest thrills of my trip are overnighting in accommodations that completely immerse me in surrounding panoramas. In my cube/suite on stilts perched over the ocean on the island shore of Manshausen, the three walls of ceiling-to-floor windows suspend me magically over the sea amid water and rocky islands. 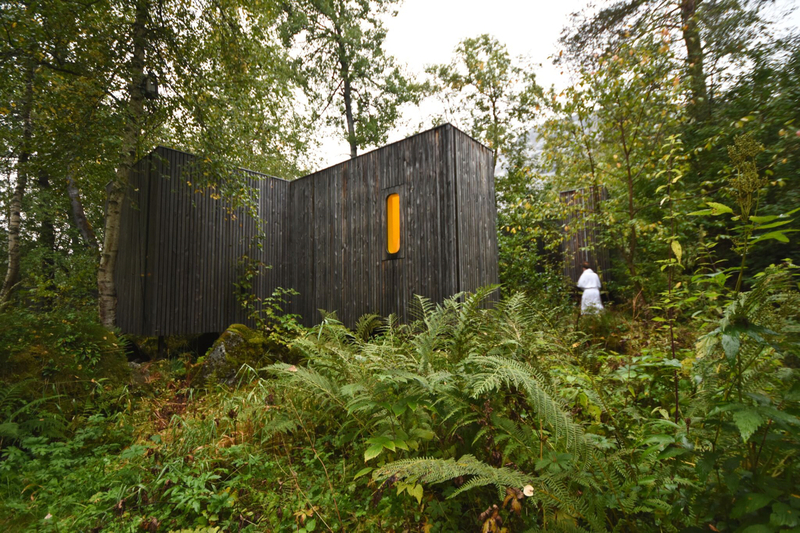 And at the Juvet Landscape Hotel, my chic wooden pod with glass window walls looking onto lush forest makes it hard to tell if I am sleeping indoors or out, something I know nature-loving Canadians would savour. I adapt effortlessly to the beat of Norway’s outdoor-crazy culture. It inspires me to toughen up and spend more time outside in Canada’s wilderness when I return home — even if just for a walk in the woods when it’s snowing or raining. To be honest, getting out there always puts a smile on my face. It’s no surprise Norway consistently ranks among the world’s happiest countries. Note from publisher: Our writer was hosted by 50 Degrees North This post was not reviewed or edited by them before publication.